More images from the little cove in Tulum. 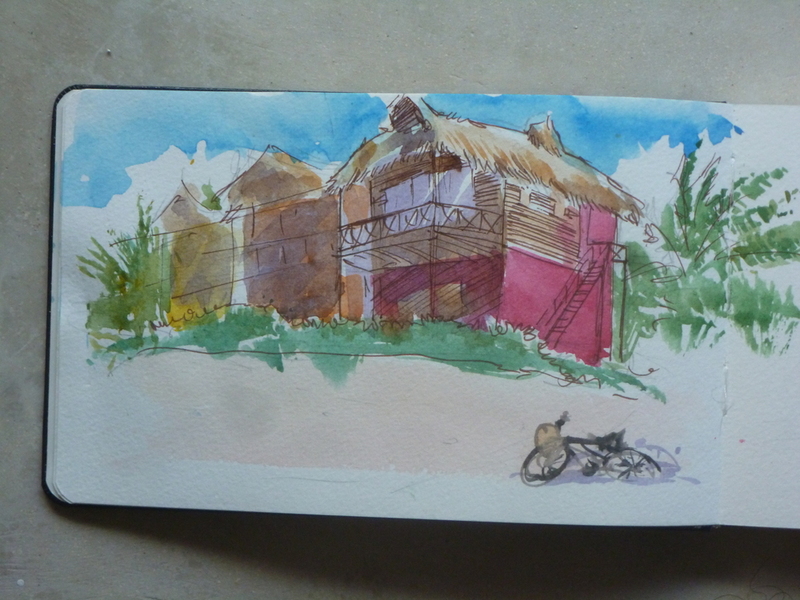 I took my bike there for the day, sat down on the pebbled sand, took a deep breath and decided to sketch. Everyday is a perfect day for a bike ride in Tulum! Sorbet coloured cabanas add a zing to the otherwise monochromatic beach and balance out the turquoise sky & water beautifully. The tiny Sandpipers there skitter along the sand like tiny winged mice. Poking at this and that, in the hopes of turning over something useful. Tulum is part of the Mesoamerican Reef System, which extends over about 1000 km along the Caribbean coasts of Mexico, Belize, Guatemala, and Honduras. It is the largest coral reef in the western hemisphere and the second-largest in the world, after the Great Barrier Reef of Australia. 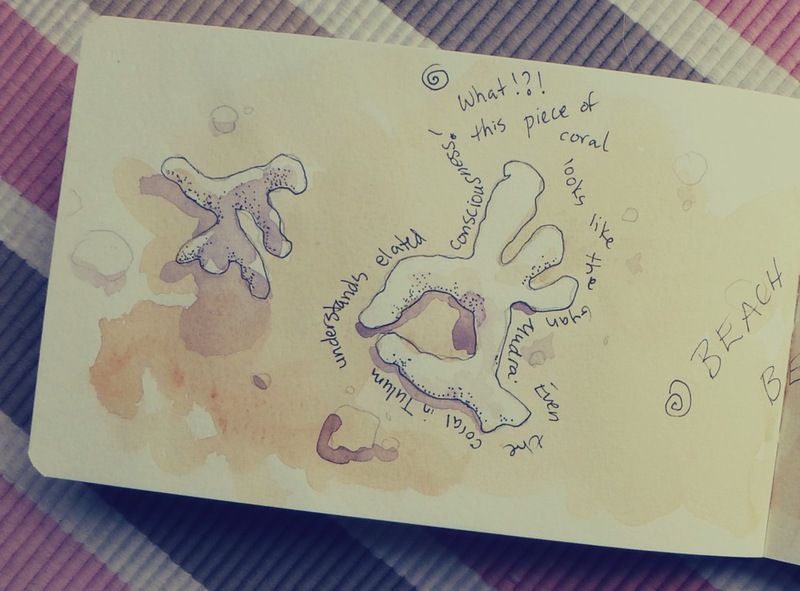 With more than 65 species of rock corals there are plenty of pieces to study, savour and ponder as they wash up onto the shore. One piece I found resembled the Gyan Mudra (gesture)...Even the Coral here is enlightened!